I found this wonder full place on tripadvisor then onwards it was on my hit list until today. The trip was decided suddenly, I had this place planned way back so the plan went super smooth. 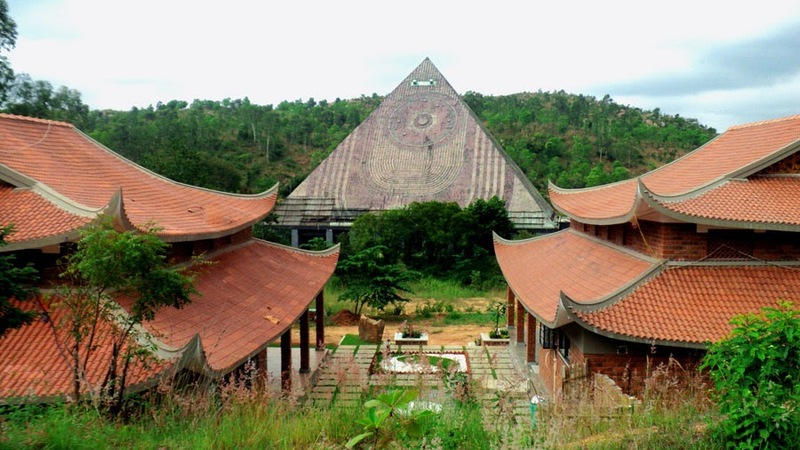 Brief about the place: Pyramid valley is the biggest pyramid shaped meditation hall in the world, along with being the largest pyramid in Asia. It stands at above 101 feet (31 m). 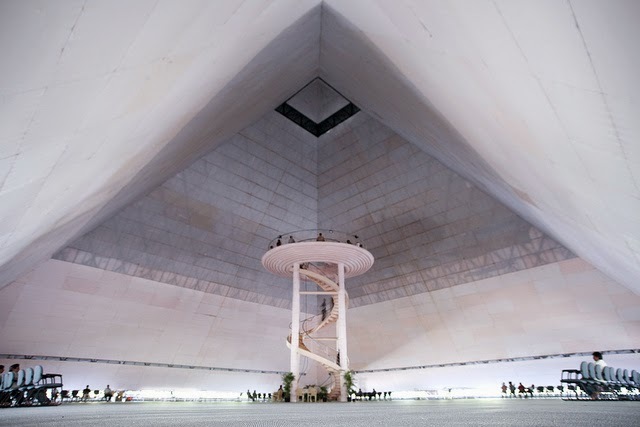 The pyramid shape traps the maximum cosmic rays which makes meditation at this place 3 times efficient than elsewhere. Sunday afternoon: Assembled at the central mall, JP Nagar at 3.15 pm. After having little food we kick started the journey at 3.45 pm. The busy road transformed into a calm, peaceful journey with beautiful surroundings. Riding at a slower pace we reached crossing to pyramid valley in 45 minutes. 1 more km through a small village. Pyramid Valley: Walking through the pyramid valley was felt so peaceful away from the hustle-bustle of Silicon City. There is a information center at the entrance, where a guy explained us about the meditation, importance of the place, how to do meditation etc,. He explained that the pyramid structure can trap the cosmic energy very effectively which makes meditation in pyramid 3 times more effective than meditating elsewhere. After 5 mins of intro session we entered the pyramid. There was pin drop silence, everyone was meditating. A staircase leads to the King's Chamber which is 1/3rd height of the pyramid where the Cosmic energy is at its highest level. We started meditating at King's Chamber, I never did meditation before but the place was so effective that we felt positive energy passing through us which kept us elevated. We wanted to dive into the spiritual world but time constrain dragged us out. Back to the normal Life: Captured some beautiful moments. Had some homemade snacks, n tea at the cafeteria. It was getting dark, our next destination was awaiting us - Art of Living. Art of Living: By the time we reached Art of Living it was 7 pm, we managed to convince the security guard to let us in as it was closing time. The dazzling LED's decorated the place like a Christmas tree. We entered the main building where Sri Sri Sri Ravishankar Guruji was giving a speech on the big screen. Everyone seemed to be driven with his words, floating in the state of serenity. We accompanied them for the next 5 minutes. Had to skip the photo session as it was dark. Had another cup of coffee at the cafeteria. There was a Piano at a corner, we played well enough to tortured the surrounding people. Drove back to Bangalore leaving tension, anxiety, and anger behind. But we did manage to capture the beautiful memories. Reached home by 9 pm. 1. The timing of Pyramid Valley is 9am - 6 pm and of Art of Living is 9 am - 8 pm. 2. There is no entrance price etc,. at both the places. The cafeteria at the pyramid valley was normally priced unlike overpriced in many other places. But cafeteria at Art of Living was over rated. 3. There is Go Karting in the middle of Pyramid Valley and Art of Living, So if planning for a trip with friends then you can include it to make an awesome one day plan. 4. Though it's always good to visit such places in the morning the Art of Living looks more beautiful at evening with LED decorations so plan accordingly as you should reach Art of living by 5 pm. 5. 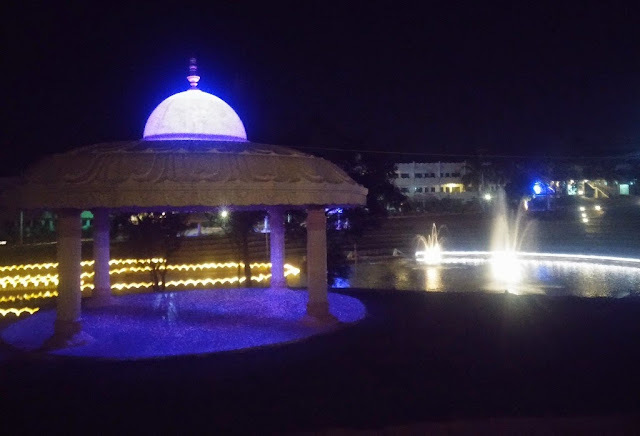 More photos of Art of living can be found from my previous visit to Art of Living click here. Thank you very much Atmaja :) Yeah its a very lesser know place. People do know about Art of Living a lot and visit it but pyramid valley very few people know about it. If you get change do visit this place and comment how you felt. The above information you have provided is very useful. Like you mentioned there are not entry fees structure pyramid valley and art of living ashram, how about meditation fees at both these places?